Red Norland: Selected for richer red skin color. Round to oblong tubers have white flesh, store well, and are excellent for roasting and boiling. 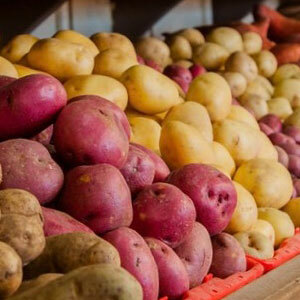 Yukon Gold: Thin yellow-buff skin and a delicious, light-yellow flesh make these potatoes very versatile.